At the invitation of Shihan Howard Lipman and Shihan Rick Cunningham, Sensei Robert King (5th Dan) and Sempai Aaron Jones of Koryu Uchinadi (KU) Kempo Jujutsu were invited back to teach a second knife attack and defence seminar for KIMAA students. 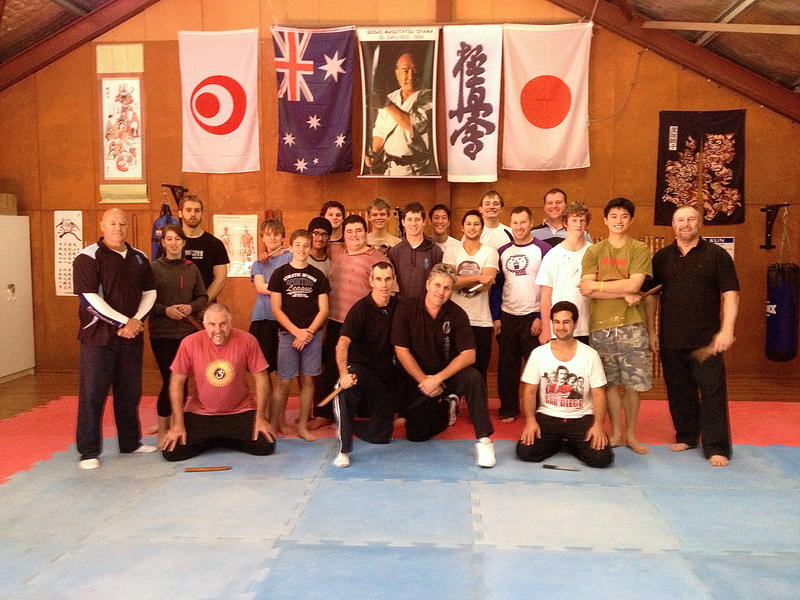 The seminar was once again held at Annangrove Dojo, attended by Annangrove and Turramurra students and Sensei Mark McFadden from the North Coast. Some time was spent recapping content from the first knife seminar before instruction moved onto more techniques, styles of defence, take downs and responses to a variety of scenarios. The seminar ran all morning, followed by a group lunch. As with the first knife seminar, the students learned a great deal and much fun was had while receiving instruction about a serious, unfortunately common weapon. KIMAA extends its warm thanks to Sensei Robert and Sempai Aaron for their time. You can read more about Koryu Uchinadi (KU) Kempo Jujutsu on their website here, and read more about Sensei Robert here.